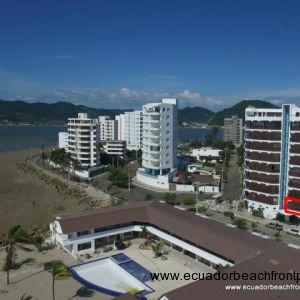 ***SALE PENDING*** This 3 bedroom, 3.5 bath condo has elevator access, a rooftop jacuzzi, sauna, and is just steps to the beach. 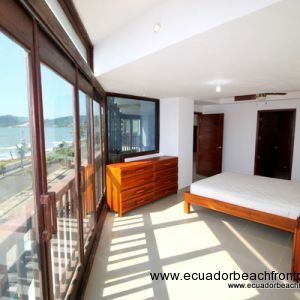 The views are clear and wide and the bedrooms and living space are very ample. 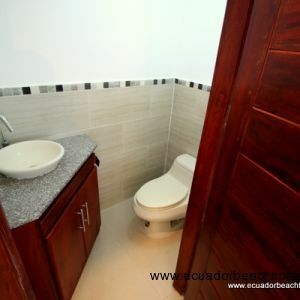 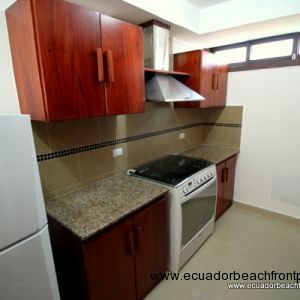 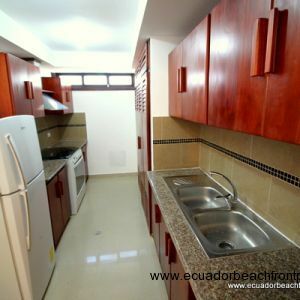 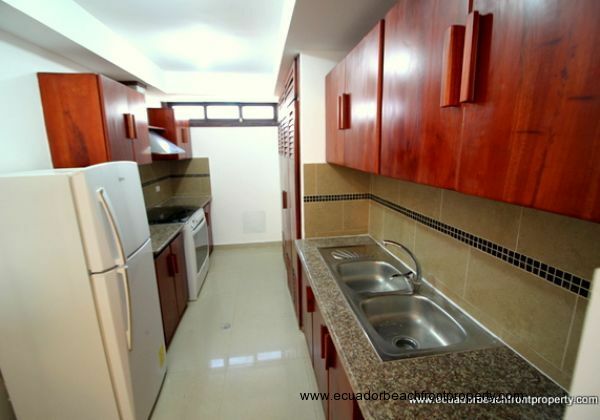 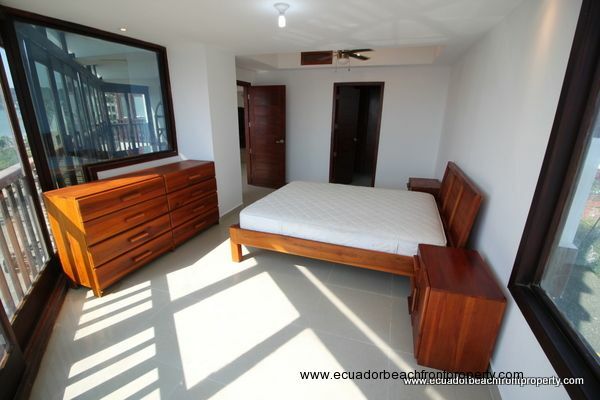 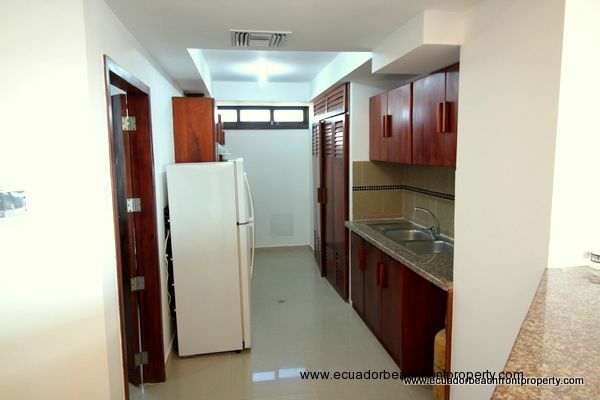 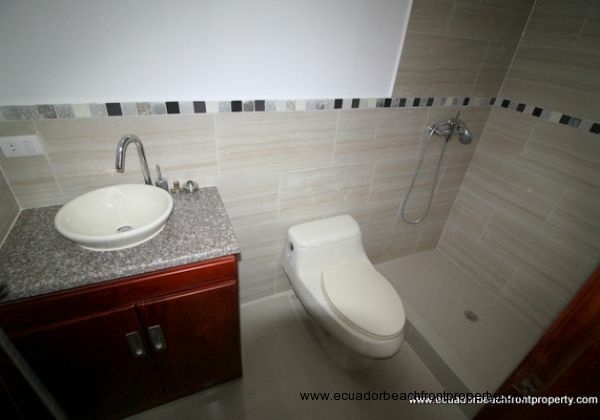 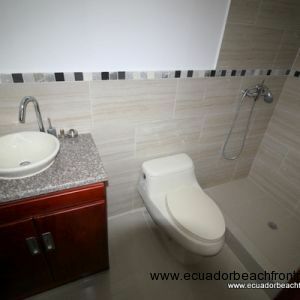 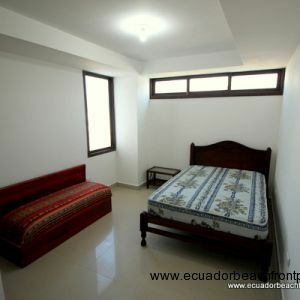 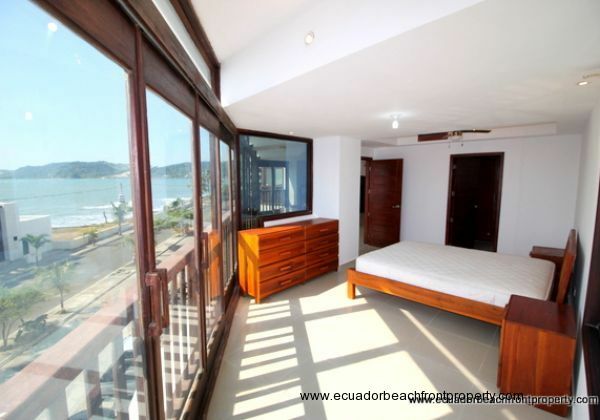 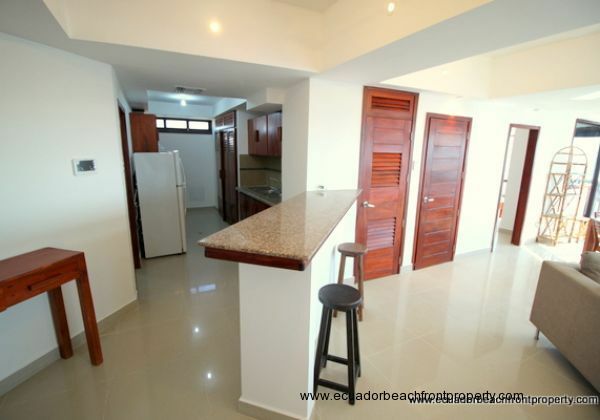 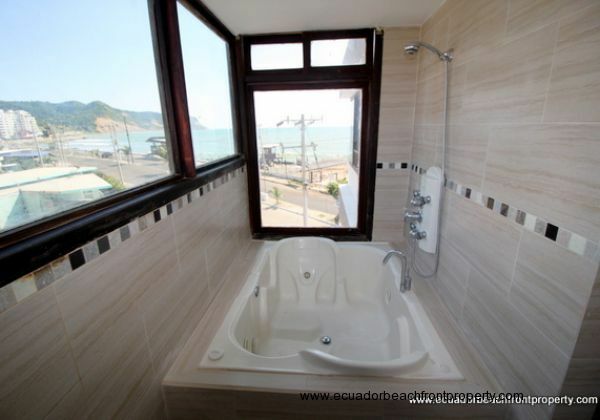 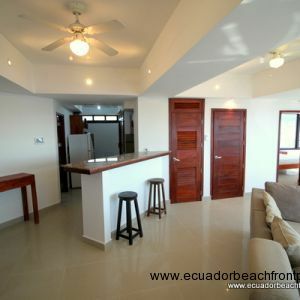 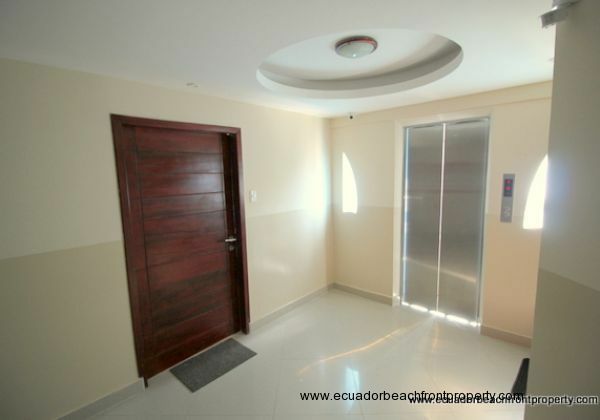 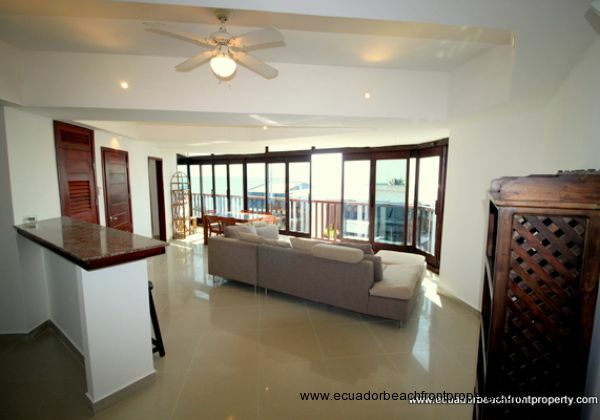 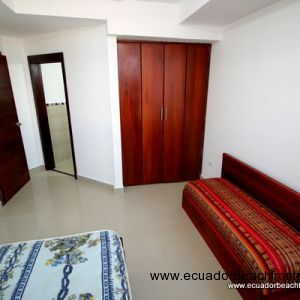 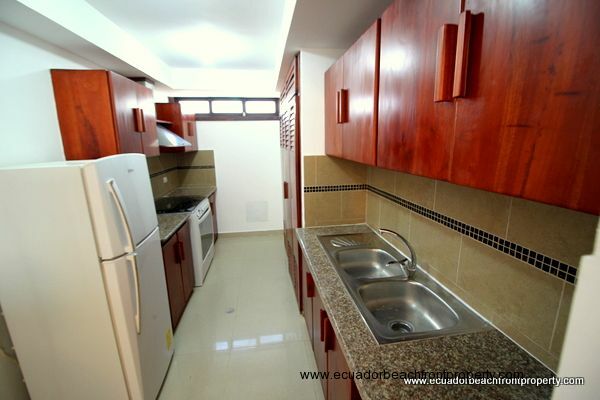 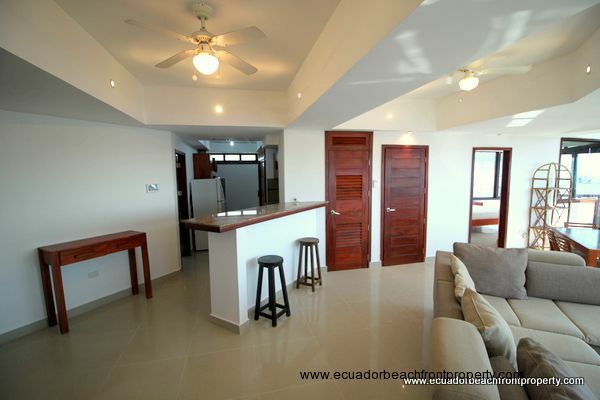 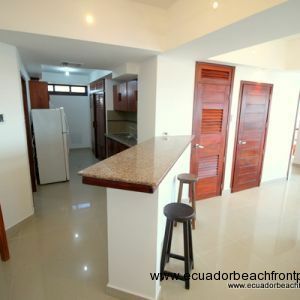 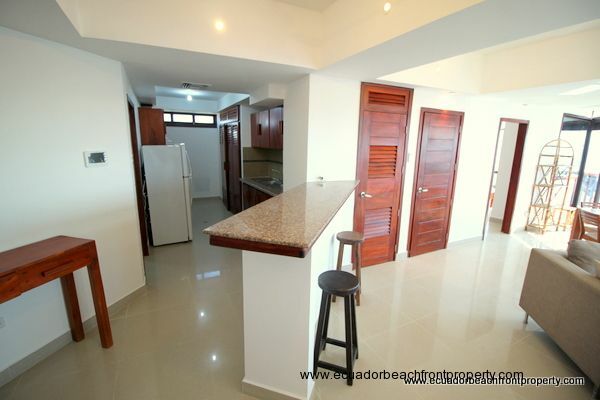 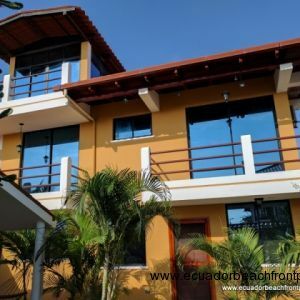 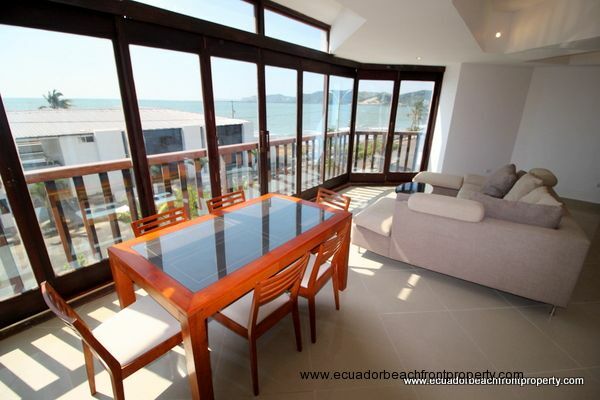 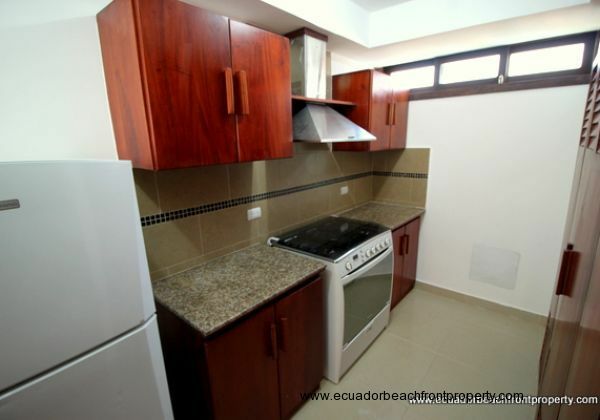 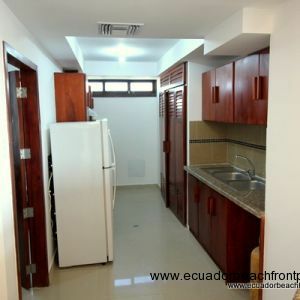 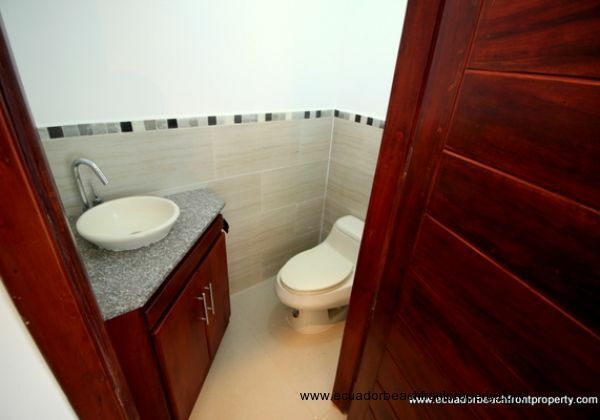 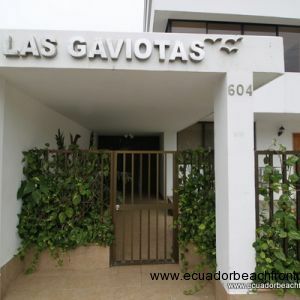 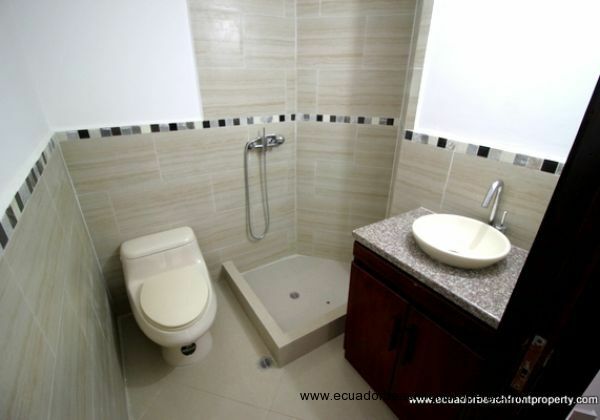 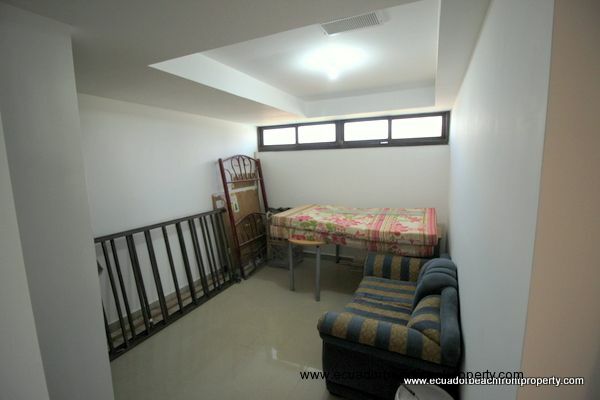 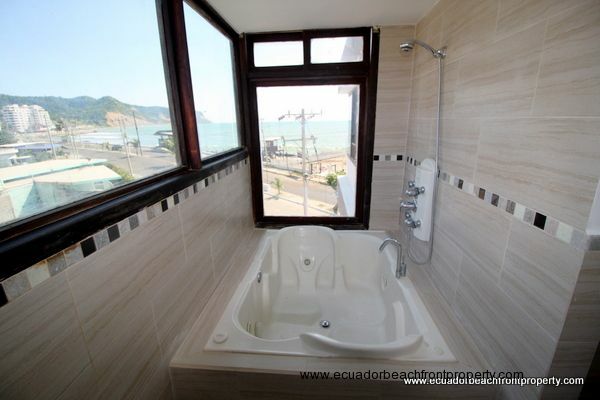 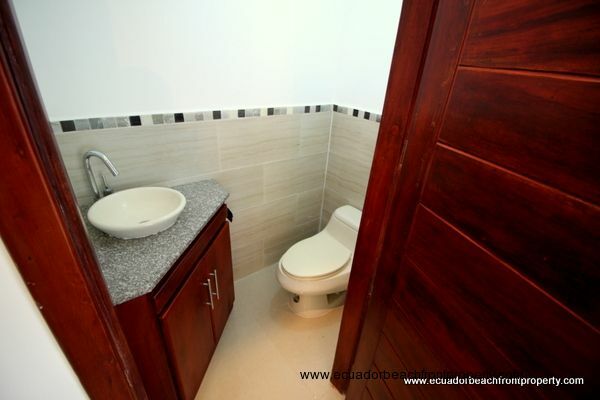 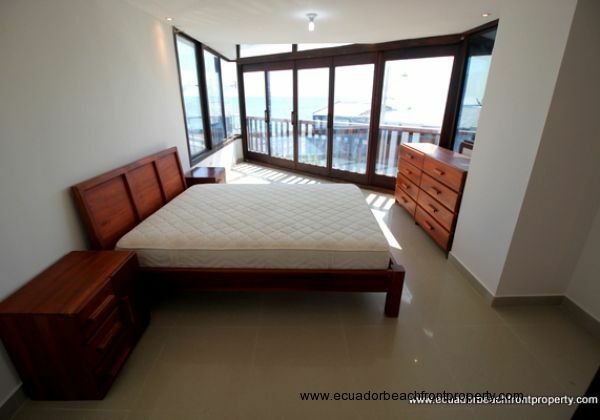 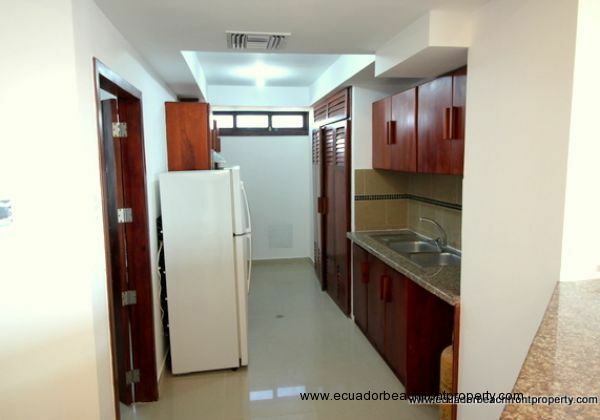 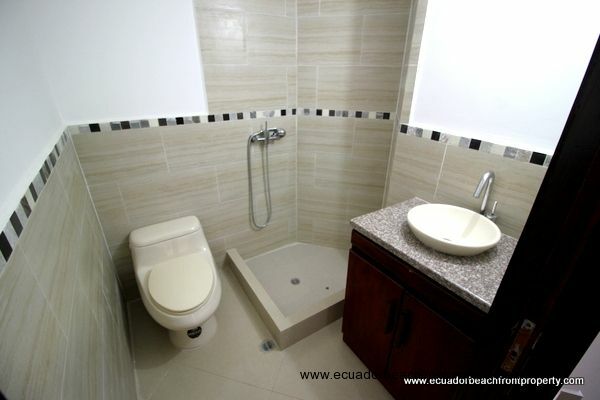 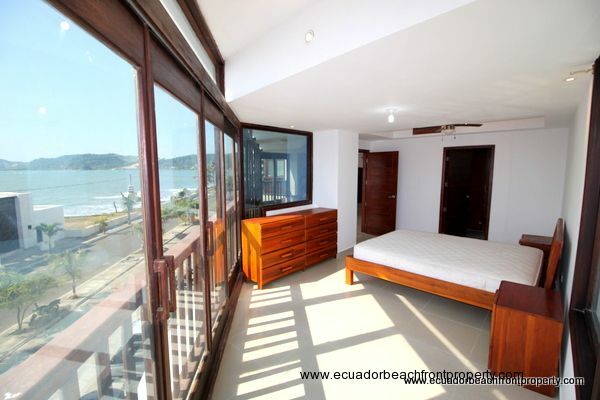 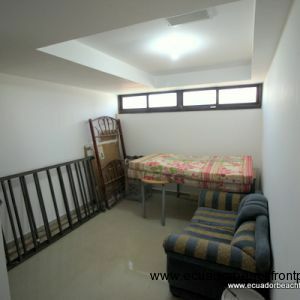 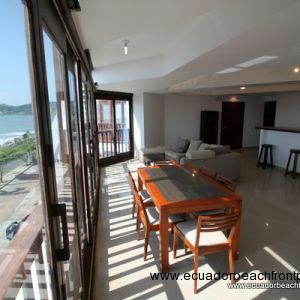 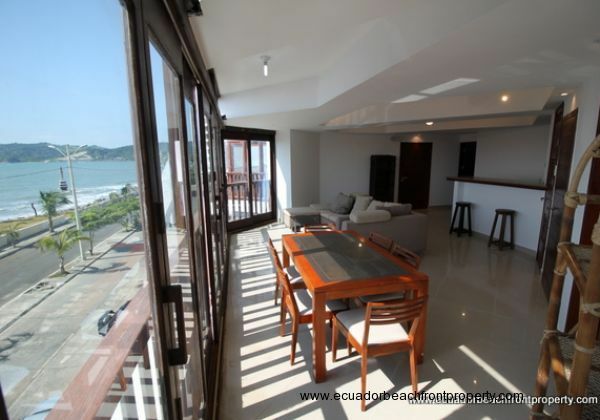 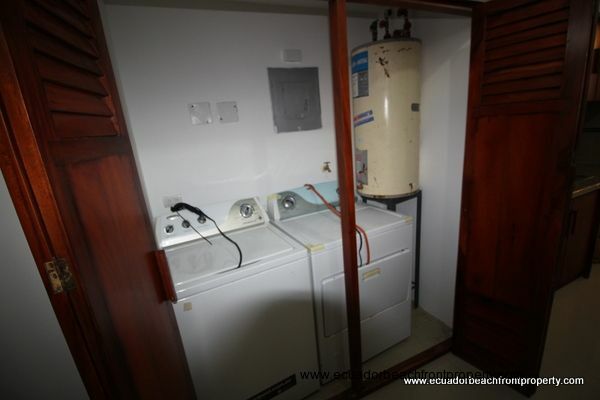 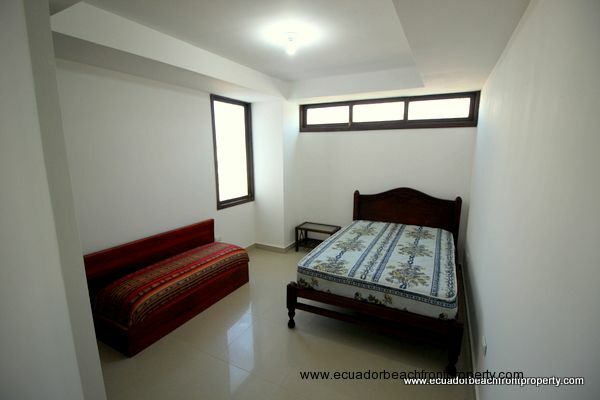 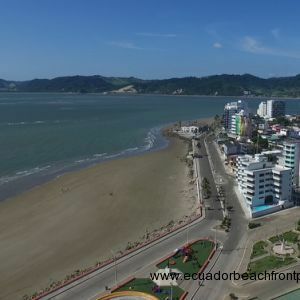 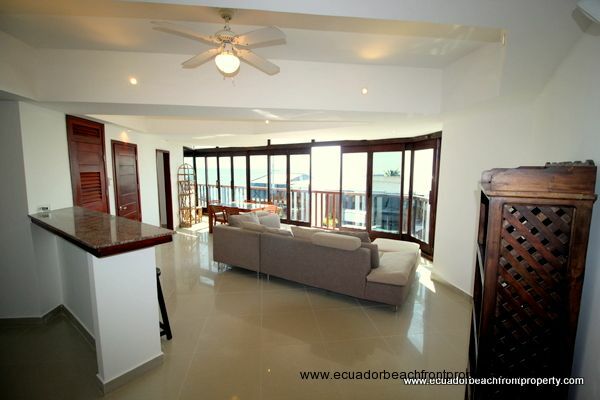 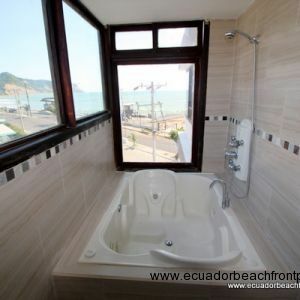 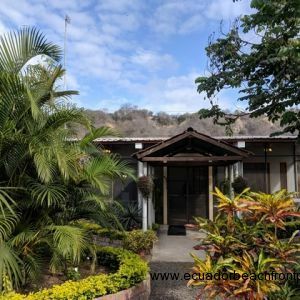 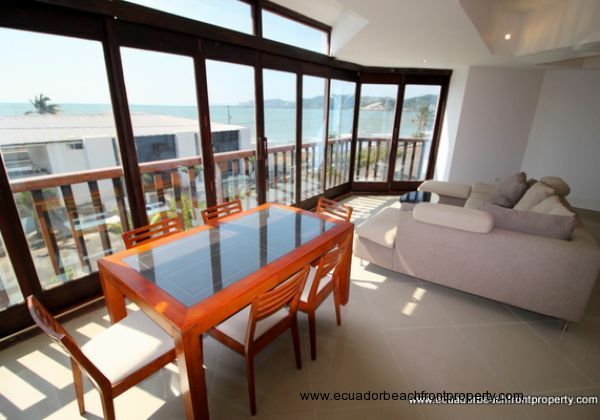 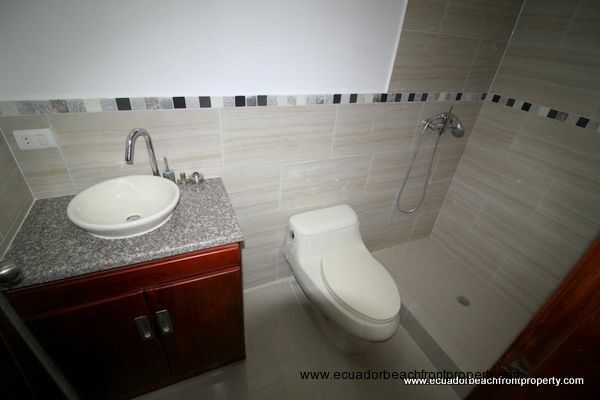 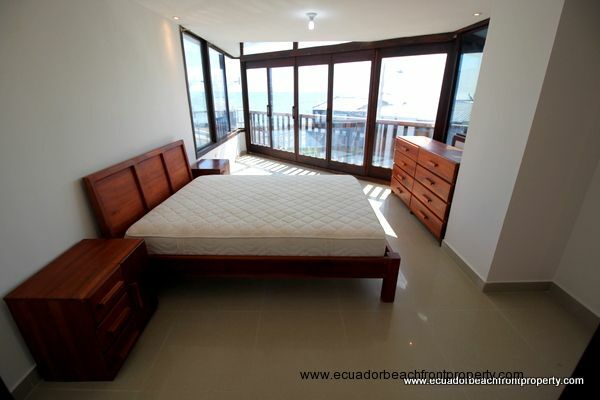 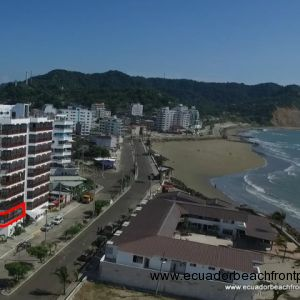 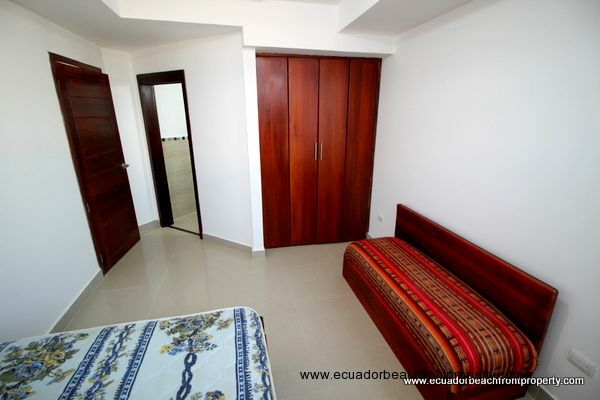 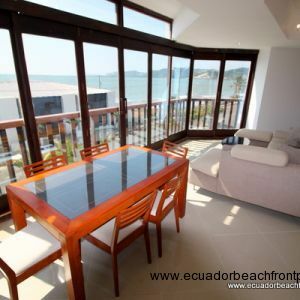 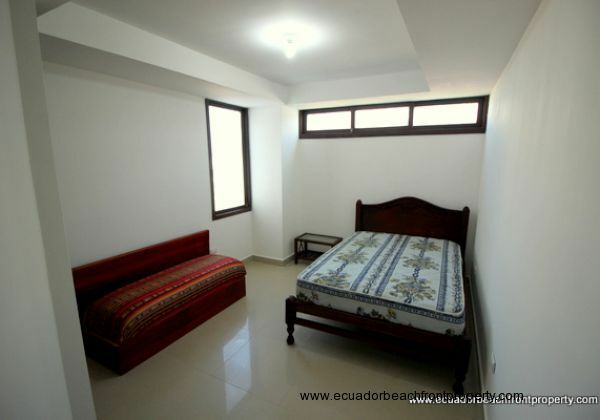 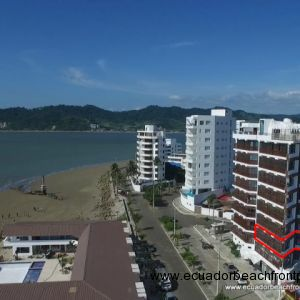 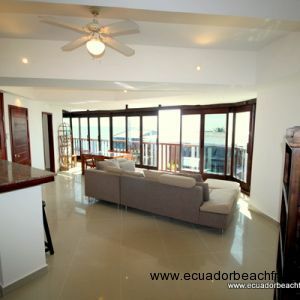 This condo provides a great opportunity for full time living on Ecuador´s coast, as a vacation or snow-bird destination, or to own and operate as a rental property. 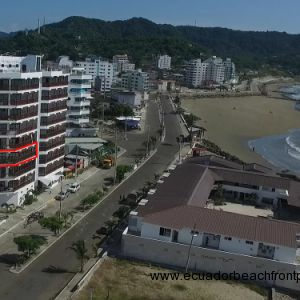 In a prime location with ocean views to the north and south, this recently remodeled condo and furnished condo is ready for you to move in or rent out. 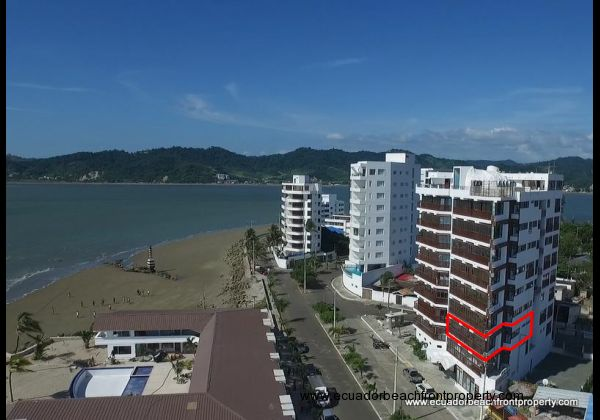 It is located near the tip of the Bahia Peninsula, close to the surfing breaks in Bahia, restaurants, and the wide beaches of the pacific side and the calm waters of the bay. 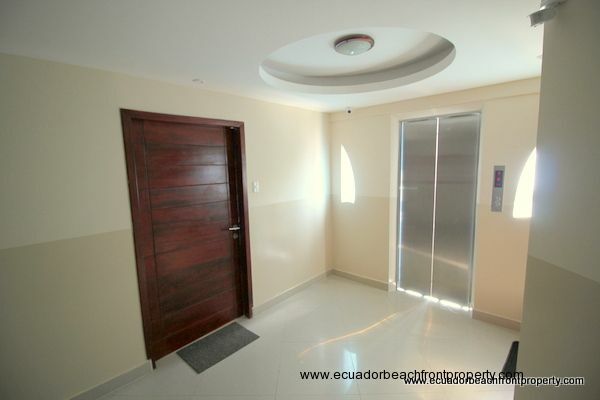 There is elevator access to the unit and the whole building is on a backup generator. 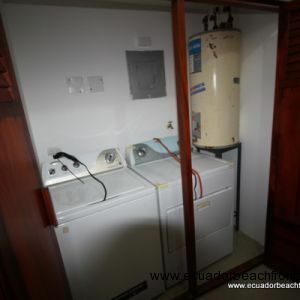 Even when the power goes out, the entire building including all appliances can run on the generator. 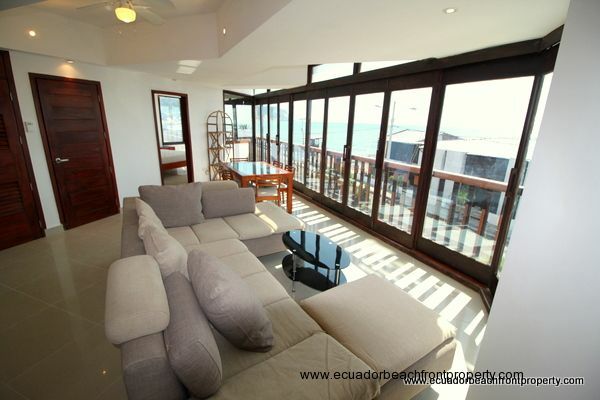 The great room is bordered on the western facades with ground to floor sliding windows that open to let the Pacific breezes in. 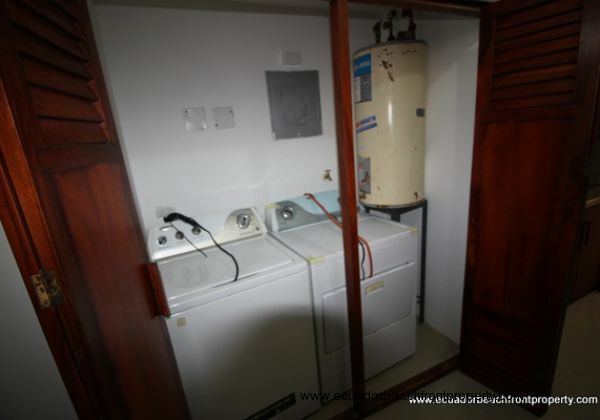 Although the unit comes with central AC, the daily breeze is almost always all that is needed to keep things comfortable on the inside. 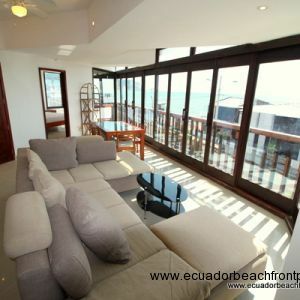 The feeling of the living room is that of a fully functional great room set on an oceanfront outdoor balcony. 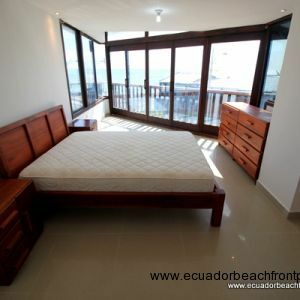 If it is too windy or you just want to enjoy the AC, slide the windows closed and you keep all the views while still controlling the environment. 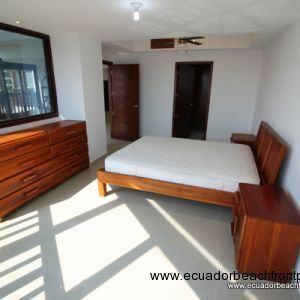 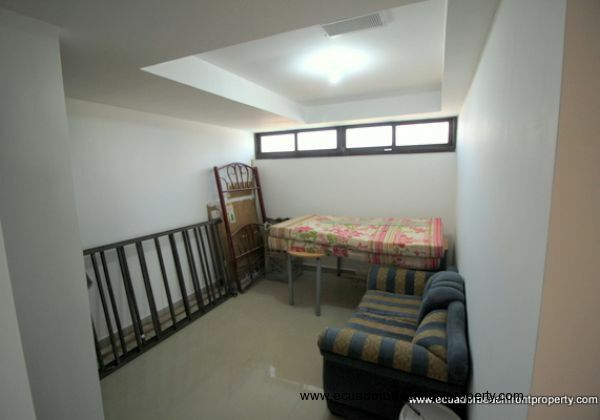 The Master Bedroom is very spacious and includes a privileged notch with windows on both sides. 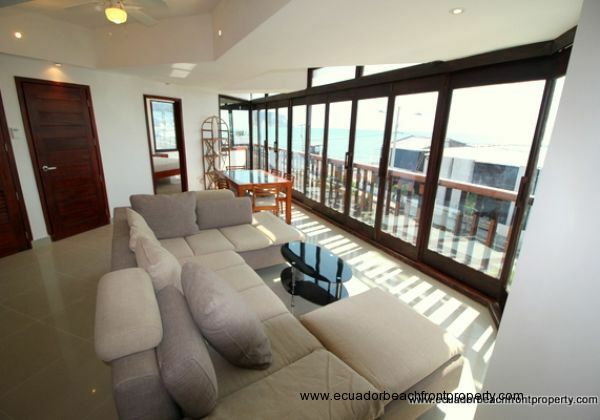 A great spot for a reading chair or small desk that gives you a bird's eye view while you take in a book or move your projects forward. 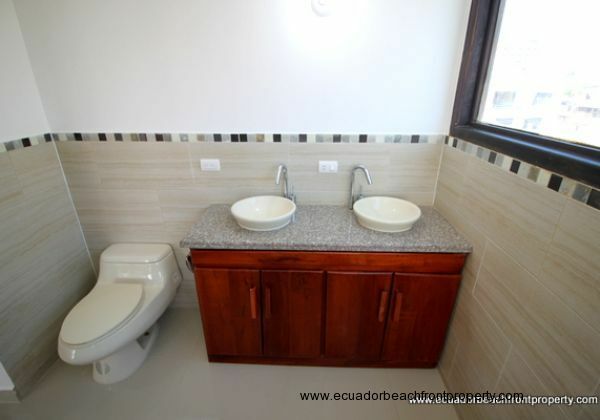 The Master Bath is well-appointed with double sinks, a jacuzzi tub a remarkable view, ample closet space, and a spacious wide-open feel. 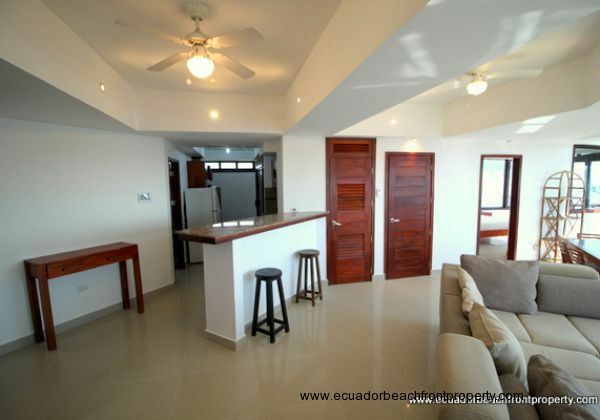 The kitchen looks out over a bar into the living room area and toward the ocean and also holds the included washer and dryer in a side cabinet. 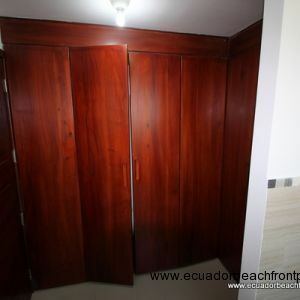 There is adequate storage in the handmade real wood cabinets and all of the appliances pictured are included in the sale. 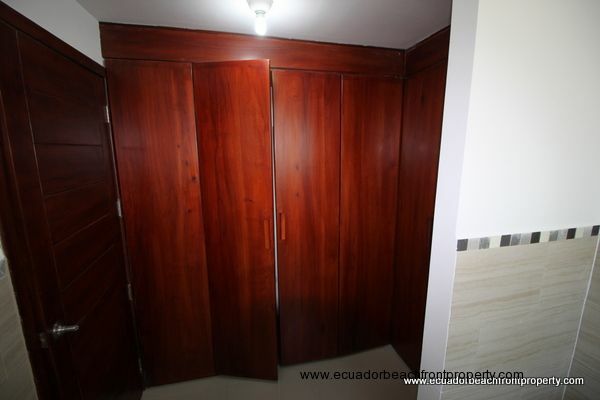 A door near the kitchen leads to the spacious second bedroom with an en-suite bath, built-in closet and nice detailing on the ceilings. 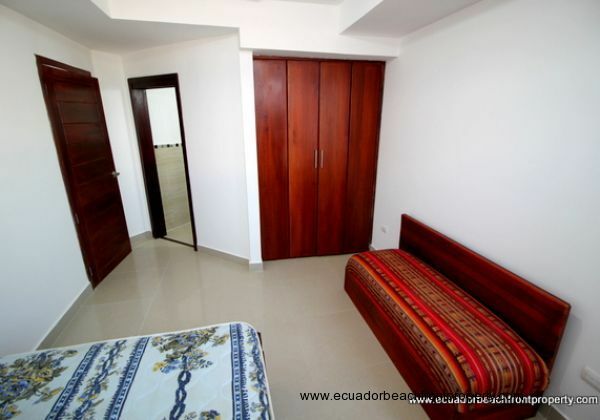 Finally, closer to the main entrance is the third bedroom, again with its own full bath, ample space, and a built in closet. 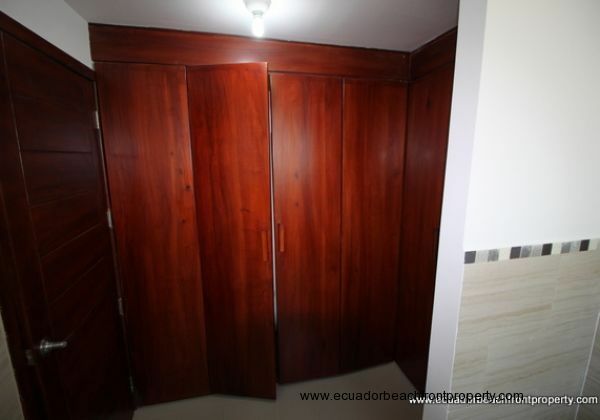 It is currently being used for storage but would make an excellent bedroom or large office. 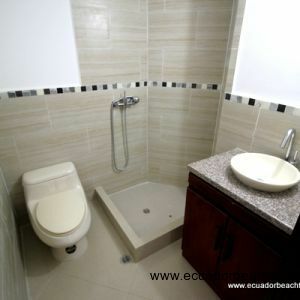 The building has en organized home owners association with insurance, maintenance, and upkeep up to date. 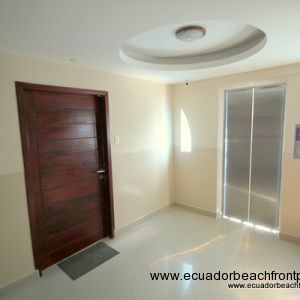 There is a full time doorman that is on site and an active building administrator. 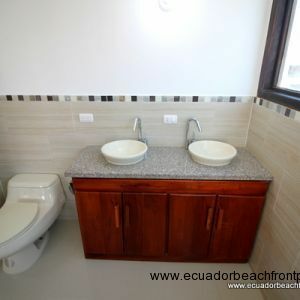 Please be sure to see all of the photos in the slideshow at the top of the page. 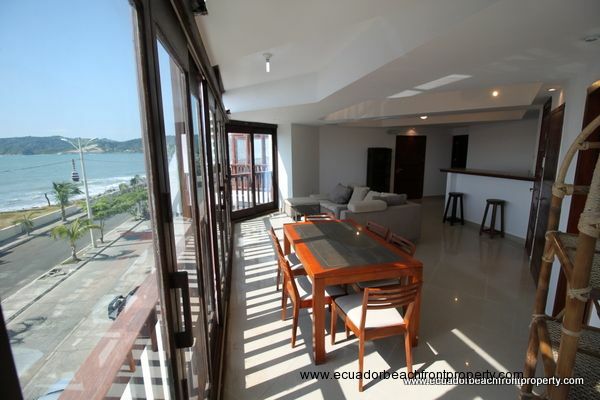 Please contact us using the contact form below with any questions or to arrange a showing.